Refill Rx Submit your information online to get refills. Transfer Prescription Transfer your Rx to Eastern’s Pharmacy! Auto Refills We provide auto refills for your prescription meds. Delivery Services Would you like us to deliver meds to your home? Being able to connect with a pharmacist can help us handle our medication needs well. 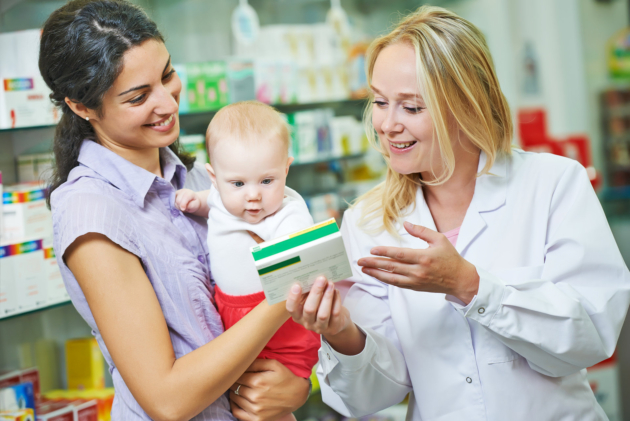 Pharmacists are licensed professionals in releasing our prescriptions so it will be ideal to have someone like them to guide you in your medication orders. The pharmacist will show interest in your situation. They will show concern about your health condition, whether you have a clear understanding of your prescription, or ask you if you have questions for them. They are also kind and courteous in addressing you and will show patience when you have many clarifications to bring up. They will also guide you on how to properly use your medications, distinguishing between prescribed and over-the-counter pills. The pharmacist will provide recommendations. As they check your prescription, they will treat themselves as your partner in attaining your health goals. They will provide alternatives that will be more convenient and still suited to your health needs. They can recommend the best medicine for a particular illness, offer generic equivalents when you’re hard on cash and advises you to inquire with your doctor for medication issues that are outside their scope. The pharmacist will help you understand how your treatment goes. When patients don’t get why they’re taking a particular medication, they will have a tendency not to take it until the end. But the best pharmacist can enlighten you about the purpose of the medicine, how it works for your condition, and encourages you to take it as the doctor instructed. They will know that should you have chronic illnesses, your medicine is going to be the right option for you. The pharmacist will enlighten you about side effects. Many patients may not be too concerned about the side effects of medicines, but the best pharmacist will bring this up even then. They can advise on the right administration and what to do should side effects occur. This way, you will be more conscious of the potency of your pills. When there are also options for Prescriptions Delivery in Seattle, Washington, they can also offer this for your convenience. While a friendly pharmacist can be there to assist you, it also helps to remember that complying with their recommendations is a bigger factor in your health improvement. The pharmacists will be there to assist you with their knowledge on prescriptions, but the ball always ends in your hands. To attain your health goals, follow your medications as instructed and prescribed by your doctor. At Eastern’s Pharmacy, we help you acquire your medicines as we also provide these along with our Special Packaging in Seattle, Washington. When you have further inquiries, our friendly pharmacists will be glad to be of assistance. This entry was posted in Pharmacists and tagged Healthcare Needs, Licensed Professionals, Prescription. Bookmark the permalink.